I am more than happy with the response and delivery of the item. I must admit though, I was surprised to see it within a couple of days, as the order was placed mid to late in the week totally expecting it to be delivered the following week. But the item was set up before the week end, and now stands proud on my desk. UHD 4K@30Hz 8x8 Matrix - Australia's cheapest 8x8 Switch/Splitter solution! 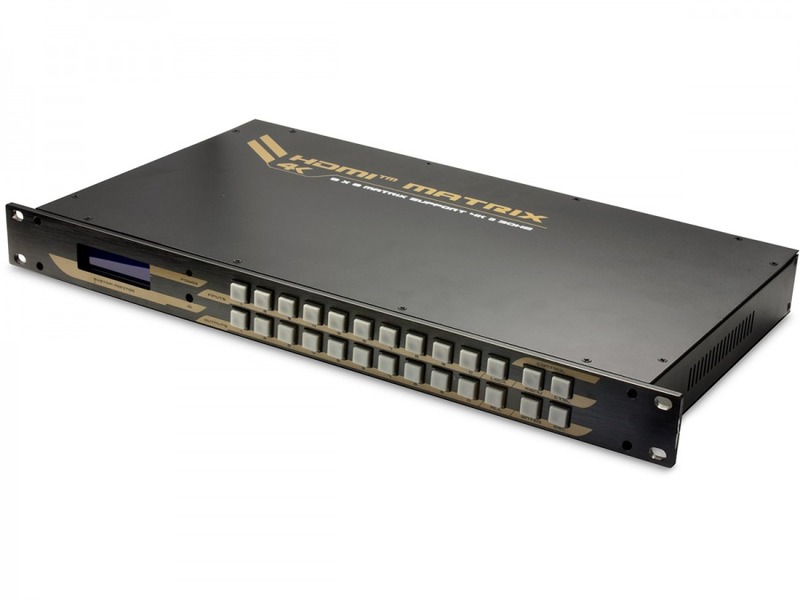 A rack-mountable (mounting braces included) HDMI 8x8 True Matrix Switch & Splitter for commercial installations, or complete home AV distribution. Connect up to Eight input devices and send them to any combination of Eight connected displays. This True Matrix functions as an 8-Port HDMI Switch and 8-Way HDMI Splitter at once, sharing and duplicating all inputs across all outputs with full control. This is an industrial-strength HDMI Matrix for the most demanding of entertainment management systems. With this beast, you can connect up to eight HDMI-ready source devices such as DVD and Blu-ray players, media stations, computers and other gadgets, and have them distributed in any configuration across as many as eight connected displays including TVs, Projectors and monitors. True Matrix functionality as well as manual, RS232 and remote control options allows you to manage your network of media players and screens from one location, routing video and audio together over HDMI. Video supports Ultra HD 4K at 30Hz, as well as 1080p up to 60Hz and Blu-ray 3D. Audio supports LPCM Stereo, LPCM 5.1/7.1 and of course DTS and Dolby standards. Compatibility notice: Due to content protection issues, this product is not compatible with pay TV subscription services such as AppleTV, Foxtel, Austar etc. Please note that due to the size of the packaging for this item Express Delivery may not be available. Answer: "I'm afraid this matrix switch is not compatible with paid TV subscription services such as Apple TV and Foxtel due to content protection."